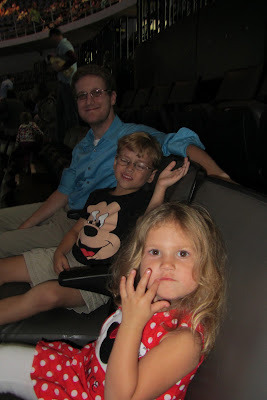 Saturday night we had the pleasure of taking our niece and nephew out to Disney on Ice. We got to see characters from Cars, The Little Mermaid, Toy Story, and Fairies along with Mickey and his friends. It was a lot of fun! Ben said his favorite part was hands down the green army men. Kate was a big fan of Ariel.